"Since the start of my Pilates routine I can honestly say that I wake up in the morning with a sense of clarity and balance that permeate my entire being." I have always loved to exercise but have become aware of needing to move differently now that I’m in my 60’s. My traditional ways of exercising over the years via nautilus, light weight-lifting and interval training still offered strengthening but not in a balanced way throughout my entire body. Then I remembered Pilates! Five years ago when I lived in Massachusetts I had the opportunity to meet with an instructor as part of healing a sports related injury. 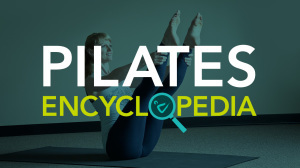 It was such a positive memory that I began to search for a local Pilates studio in Concord. I met with Mara last January for an initial assessment. It took me only a few minutes to realize I was in the presence of a master instructor who could read my body immediately. She developed a plan of careful exercises on the apparatus that took into consideration my osteoporosis, level of strength and love of challenge. I began to feel the differences in my body after the first workout. Since the start of my Pilates routine (I prefer By Design with others in the studio), I can honestly say that I wake up in the morning with a sense of clarity and balance that permeate my entire being. Pilates is quickly becoming my preferred strength and balancing exercise. Much of that is due to you, Mara, and your level of excellence and attention to detail. The days of pushing myself harder in the gym are gone. They have been replaced, instead, by a different sort of workout at Concord Pilates where I am getting just as strong, learning more about the way my body works, increasing my focus and having a lot more fun as I move! A year after doing Pilates I no longer have problems with pulled muscles or lower back pain. My body feels much more balanced and aligned. My posture has improved and I am moving each day with greater awareness. The studio is beautiful, uncluttered and clean. Mara gives attention to each client with her positive energy and encouragement. I am very grateful for this experience and new way of life that has truly been transformational. I enjoy Pilates so much that one of my retirement goals is to further my study in the teacher training program.